So this Saturday is our 10th birthday party! If you are about in Sheffield then please do come down to Cocoa as there will be many treats for everyone to try. Expect to feel like a child again, as we will play pass the parcel and guess how many sweets in the jar, prizes for all ages! There will be plenty of samples for the launch of the new Made in Cocoa range, including Lemon & Poppy seed White chocolate buttons, Sea Salted Caramel brownies and even some savoury chocolate dishes. So what's happened over the past 10 years? 2005 – 2006 Year 2 During the second year Rachel decides she wants to sell the business, Kate and I worry about what will happen and if we can still work there. I had a dream it turned into a fish and chip shop! 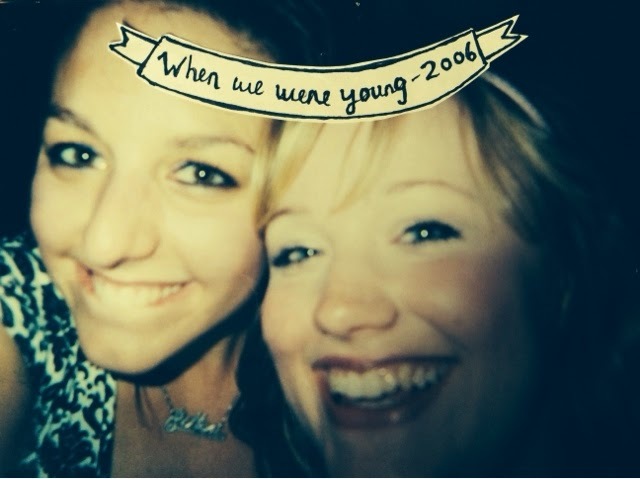 2006 – 2007 Year 3 We (Anne and Kate) buy the business at the same time as finishing our degrees at Sheffield Hallam uni. All very complicated but somehow it worked! 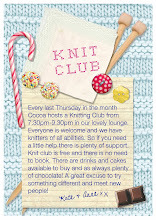 2007- 2008 Year 4 We spent every penny getting the lounge ready and finally opened the Cocoa café in September 2007 and later on the Boudoir (which was the office) upstairs.We also start to run our first free community event with knit club, because someone came in Cocoa and started knitting then suggested we have a club. And we start our first chocolate tasting session as a group of hens insisted that's what they wanted. 2008- 2009 Year 5 Our second free community event book club starts, partly because I wanted a reason to try and read more books. We had a floral tea party for Swallows and Damsons flowers & Fancie cakes. We hired our first member of staff Emily (our housemate at the time's sister), followed by Lizzy. And the recession hit the UK! 2009- 2010 Year 6 Three more members of staff this year! We celebrated our 5th birthday party. Another chocolate shop Chocadores opens across the road. 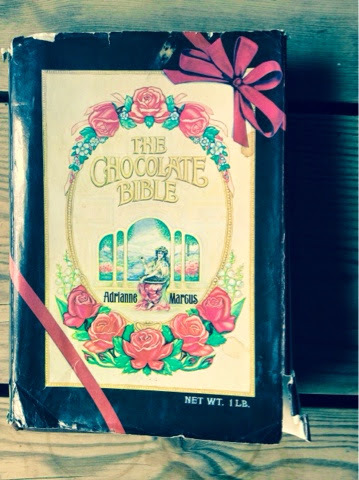 Kate and I go to live on a chocolate plantation in Grenada for a whole month! We also attend chocolate school for a few days. Attempt our first Easter egg hunt in Botanical gardens. And then decide we have enough staff to stop working at the weekends! 2010-2011 Year 7 Chocolate shop Chocadores shuts after a year in business. We start hosting Chocolate Lock ins. Our website shop opens, so we can spead the chocolate love all over the UK Mott from the Grenada chocolate factory visits Cocoa. Kate and I go tea picking in south China. 2011-2012 Year 8 A big turn around of staff as all the girls head off to uni so more ladies join. We get a new Logo designed and stick to Cocoa Wonderland as the name of the business. 2012-2013 year 9 An epic moment in the shop as nearly all the sweet jars and glass shelves smash to the ground! We learn not to use glass shelves again. Steve Millington designs us an amazing sign for the front of the shop. Kate and I learn all about marketing from Faye of Keep your Fork. We meet the owners of Rococo in London and get to meet Joanne Harris in Sheffield. Do our first Pecha Kucha presentation on The Ethics of Chocolate. Start working on design work with Camilla of Butterscotch and Beesting. Start hiring out the cafe space as room hire in the day and night, opening the doors to many clubs that then run in Cocoa. And buy an oven and tempering machine to begin experimenting in the kitchen! 2013-2014 Year 10 Managed to get on the front cover of Transpenine Express, which is on all their trains for 6 months! Get an actual 'Cocoa' sign hand painted by Lord Bunn (after being nameless for along time!) Our Cocoa made chocolates begin to sell wholesale to Urban Pantry in Crookes and Florentine hotel in Fullwood. We are now busy enough to justify our first full time employer. And we meet up with local brewaryThornbridge to discuss a beer for our tenth anniversary. Wow it feels exhausting just thinking we did all that! Together we openly invite all customers to come and join us in celebrating this Saturday in Cocoa from 11am to 5.00pm. See you there! I thought I would explain about our library and some of my faves in there. 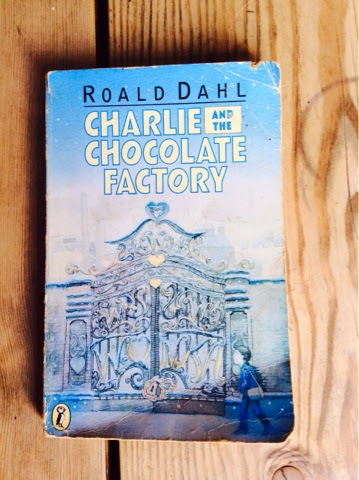 When Kate and I first took over the business we wanted to get clued up on everything about chocolate and so we began collecting any books that would help our knowledge. When we opened the cafe we put the books out for others to read and over the years people have added their own. People borrow recipes to make their own chocolate cakes at home and more recently teachers have borrowed them for lesson planning. 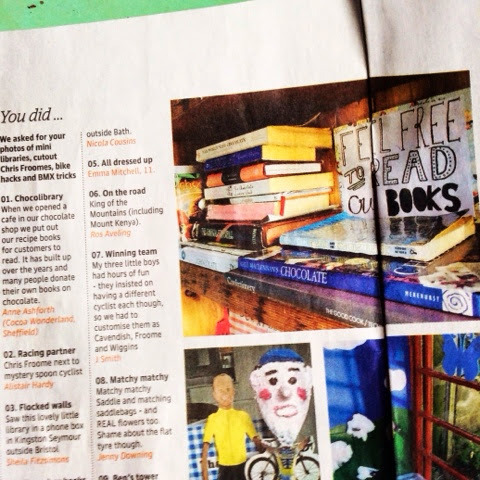 And of course a lot of customers have a read when they are in our cafe. 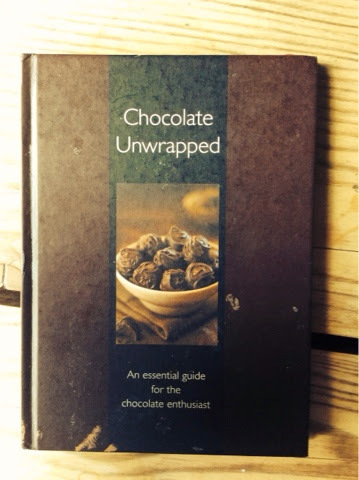 This is a great book for chocolate lovers and has some great tips for how to taste chocolate. This was given to us from a customer, I love how kitch the cover is! 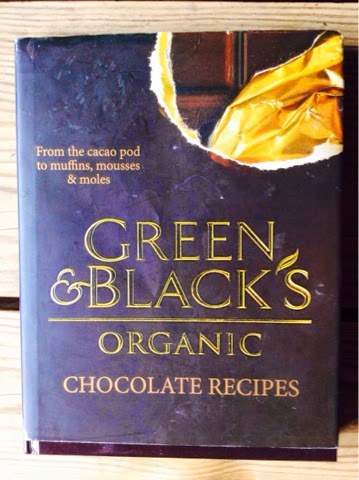 A great recipe book if you love to cook with chocolate, a lot of these have been baked by us over the years. 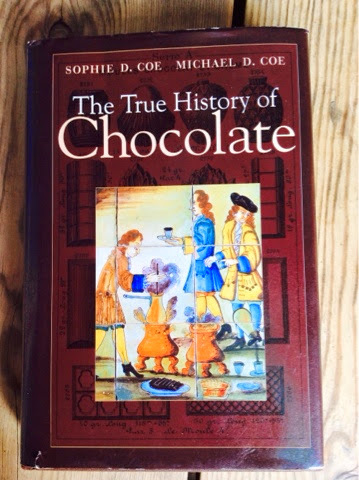 This is very detailed and accurate if you are really into the history of chocolate, took me ages to read but well worth it. 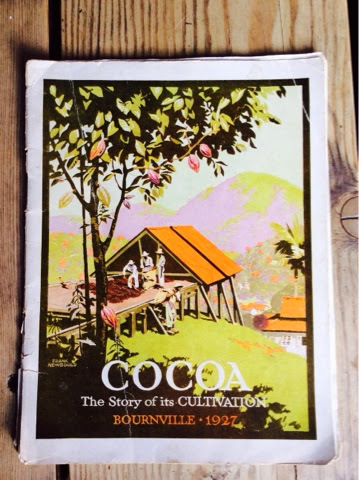 This was written by the founder of Hotel Chocolate and has some great pictures of their plantation. A great history book for children and a really fun way of learning. 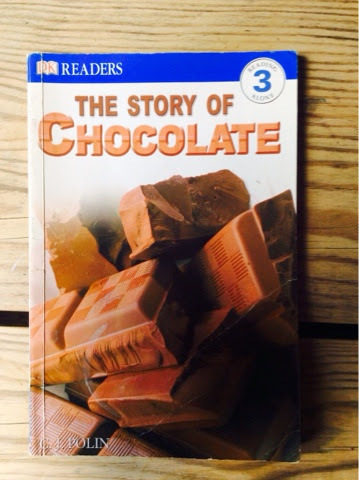 A classic chocolate book! Love everything about it. 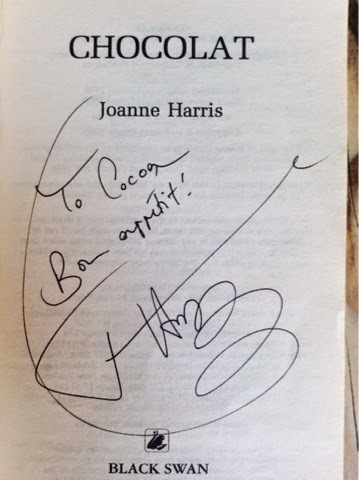 Even better as we met Joanne Harris in 2013 to get our copy signed. 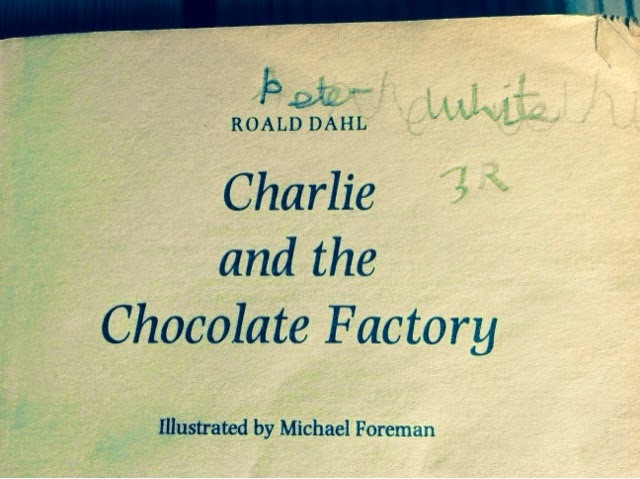 And my personal favourite, this is my copy from years ago. You can tell it was well loved by the dog earred cover. My younger brother and I went through a stage of 'owning' our books. You can see my name underneath and he must have written over mine wanting it to be his! 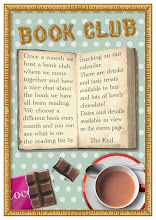 Please feel free to read and borrow any of the Cocoa books, they are waiting to be loved. 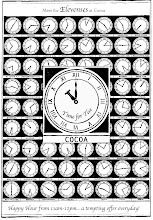 Cocoa was opened in 2004 by Rachell & Jon Burton. 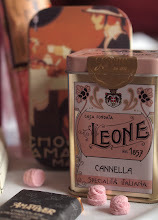 Rachell had a passion for nostalgia and loved old antique confectionery trinkets. While trawling on e bay for new finds she stumbled upon a truffle cabinet and ended up buying it. Suddenly realising she wasn't sure what to do with a truffle cabinet, it seemed the next obvious thing was to open a chocolate shop! Alas Cocoa was born. I (Anne) was at Hallam uni at this time and noticed a new chocolate shop, curiosity brought me in and I immediately asked if there were any jobs going while handing my CV in. From there Rachell took me on, they had only been open a month so it felt really exciting to be part of such a wonderful project. At this point it was just the front shop that was open to the public but the fixtures and fittings have stayed much the same. As Cocoa got busier I managed to get Kate a job in Cocoa (we had met in halls in the first year) and together we all made a great team. In 2006 Jon's career as a sound engineer had boomed (excuse the pun) and Rachell wanted to spend more time with her children, together they decided to sell the business. Kate and I were really sad as we had fallen in love with the place and had so many ideas for it. As the months went by there was a lack of interest from buyers and Rachell said she may have to just take it all down and leave it empty, I then had a nightmare that it was going to be turned into a chip shop and this had genuinely upset me! She suggested Kate and I buy it to save the business since we loved it so much. This idea at the time seemed crazy as we were in our final year of university, had no money or business experience and were only 21 years old. But it actually took us all of 5 minutes to agree this was in fact a good idea, a lot of thinking through our hearts not heads here. The next step wasn't easy but Rachell helped us through the first part of borrowing the money, we had to write a few business plans on the spot with no experience of writing business plans! Fortunately this was pre-recession and we were able to borrow enough money from the bank and family to buy the business and start us off. Oh and finish our degrees at the same time! Many people doubted us, thought we were stupid and assumed we would fall out. And it was actually them who spurred us on to really give it a go. The first year was definitely the hardest and we really did have to make so many mistakes in order to move forward. You can read as many books as you want but sometimes you have to just put it into practice. But we are still here and we are really proud of that. We are also still really close to the Burton's, we actually employ their eldest daughter Emily- keeping it in the family. 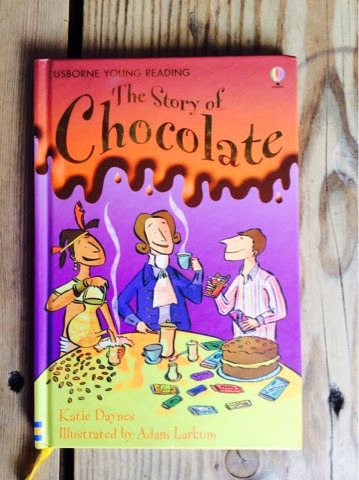 And Kate and I are clearly still friends & we still love chocolate just as much if not more! 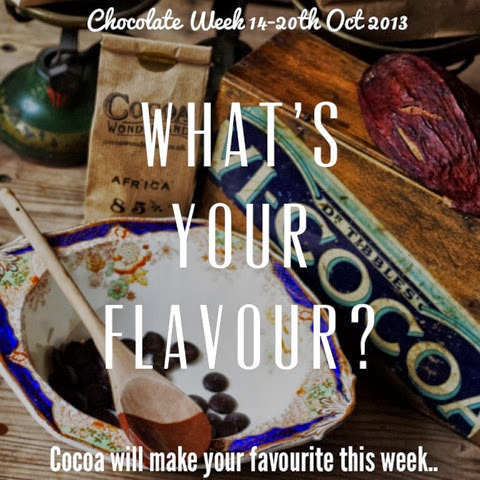 Chocolate week 2013 in Cocoa... What's your Favour?? 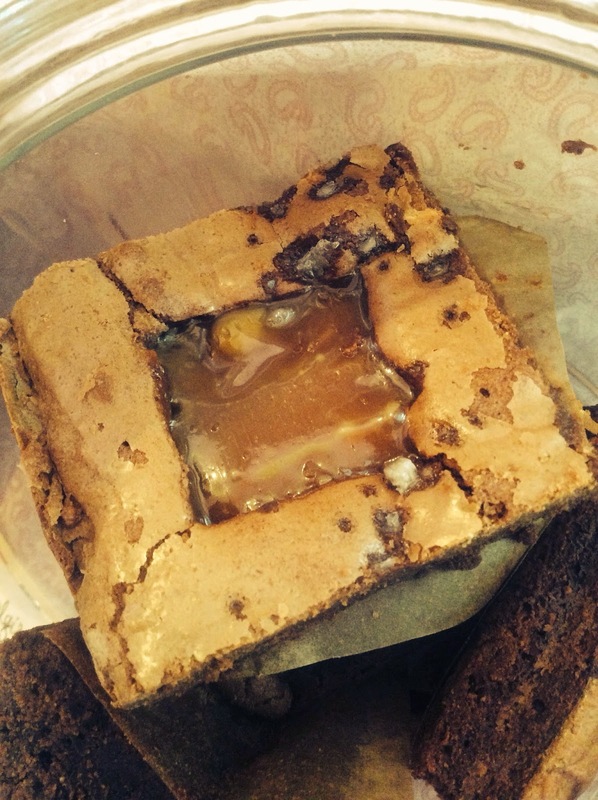 So last week was officially dedicated to chocolate (although every week is for us! 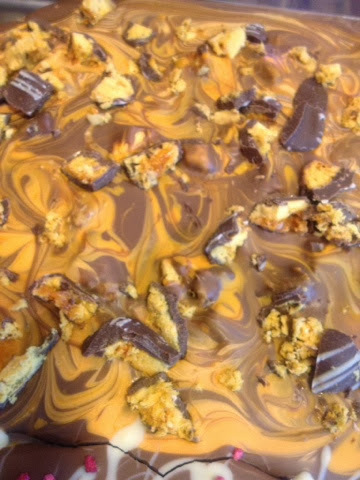 ), so we thought it'd be fun to ask our customers to unleash heir inner Willie Wonka and tell us their dream chocolate combination... 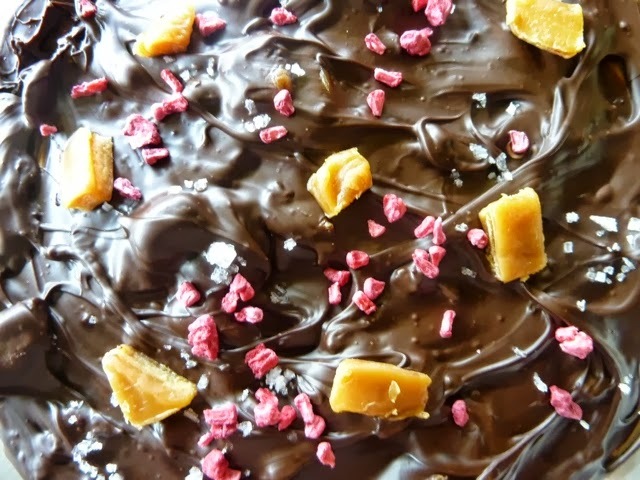 The best flavour will be sold in the shop and the winner will receive a slab of their very own chocolate. Very exciting indeed! We set up a demonstration area in the lounge at the back of the shop and customers could pop in and watch the magic happen right before their eyes.. All the chocolate we made was available all week for customers to sample in the shop. Blueberry Burst... Dark chocolate sprinkled with gold glitter.. One of our favourite customers Jennifer Booth came up with this one. 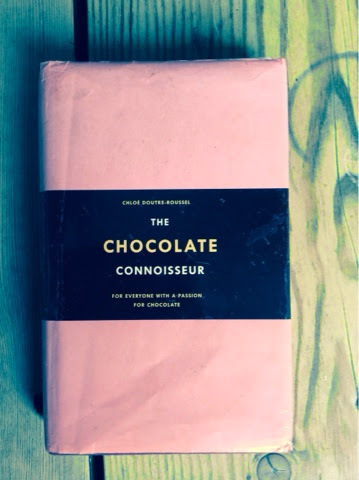 60% dark chocolate with Salted Caramel & raspberry... Our very own Cocoa girl Evie Brailsford requested this chocolate. It really works! We used special sea salt from the Algarve and gooey French caramels. I never thought about putting fruit with salt and caramel but it is tres Bon! Another raspberry number.. Carmel Clark asked for this dreamy chocolate. Milk chocolate with raspberry, hazelnut praline and white chocolate. Jane Miles suggested this.. 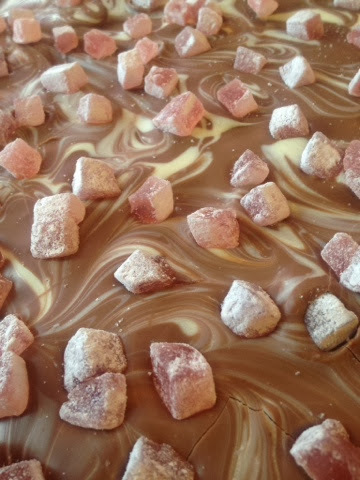 Milk chocolate & Turkish delight with white chocolate swirls. Makes me honk of Narnia! Emiley Harrison's chocolate idea was delicious! Honeycomb & orange.. The texture was great, lots of crunch! Thought this was quite autumnal so apt for the season. 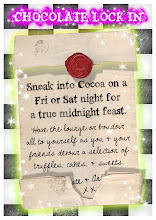 What would your dream chocolate be??? Kate and I braved it out the shop for a trip to Hebden Bridge to see retail guru Kate Hardcastle, talk on behalf of Welcome toYorkshire. This was actually the best talk we have ever been to. Ever! Faye from Keep you Fork kindly hosted a party in Cocoa which was so popular there was no room to sit down and I ended up networking in the kitchen while washing up! Kate discovered a new chocolate bar made from tree to bar in Vietnam from a You Tube video. One thing led to another and we started selling our first ever Asian chocolate bar, called Marou. It’s also totally gorgeous. A customer asked if it was OK to propose to his girlfriend and he got his mates to hold up signs saying ‘will you marry me’ outside the shop and he and his girlfriend looked from the Butterfly Boudoir. She said YES!! 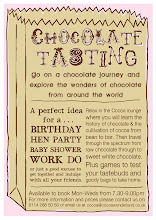 And she even had her hen do in Cocoa at a Chocolate lock in. Beautiful moment. 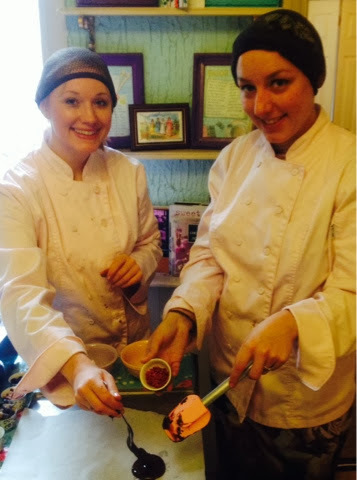 We met local lady Jane Stammers and started selling her Tipple Tail cakes in our shop. There was nearly snow at Easter. I learned what a Twitter DM was, who knew! There was A LOT of unread messages. I agreed to do a Pecha Kucha talk about ‘the ethics of chocolate’ where I spoke to about 100 people about the subject. I was actually more nervous than I was on my wedding day but it went really well (as did my wedding day). We arranged an Easter egg hunt on Ecclesall road including as many local shops as we could get on board to raise money for Neurocare. It was great! Bit of a shock when we saw Ladbrokes had opened opposite us! Met Joanne Harris at a book launch in the local Library. 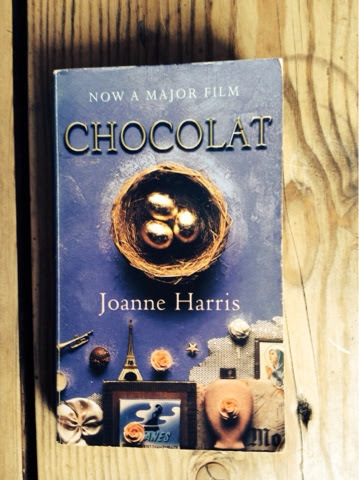 Got her to sign a copy of our book ‘Chocolat’. After much demand we created a dairy free hot chocolate, which is currently my favourite one. I went sign mad and could not stop making more and more arrows around the shop! We did a photo shoot with Boneshaker, which was bonkers and loads of fun! Found out that our good friend from Grenada, Mott Green had died suddenly. Completely gutted. Camilla of Butterscotch and Beesting designed an absolutely gorgeous Cocoa pattern, which we are slowly creeping into the business but soon will be everywhere! Got a new oven installed in our very tiny kitchen. 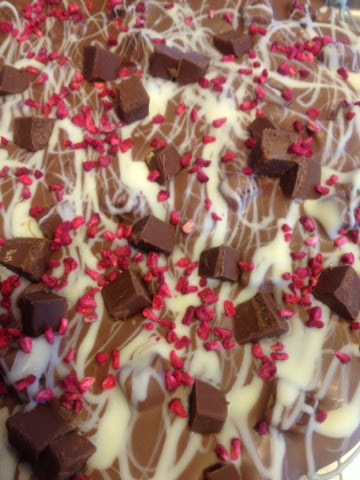 Finally produced our own cakes for the café in our kitchen AND starting making our own chocolate experiments in our tempering machine. We had a crazy heat wave, which is usually really bad for chocolate sales but it didn’t seem to stop anyone. We started hiring out jars full off sweets for wedding sweetie bars and they came back in one piece! We had a boy for work experience over the summer! A boy in Cocoa! Kate and I were invited to 4 hen dos and 4 weddings, which gave us plenty of reasons to make our own hen do and wedding gifts from the chocolate we were making. We forgot to photograph any of it but the highlight for me was Kate’s sister in laws chocolate L plate. Sheffield Hallam asked Kate and I to be part of a case study for students who have done well (at least I think that’s what it was about) but it was really nice to be asked. Our website shop died no real explanation. It just died. We agreed to do a weekend stall at the Folksy Summer School in Ecclesall woods, despite saying that we would never work at the weekend or do stalls and to add to it we had just been to a wedding and were pretty hung over. BUT it was beautiful and we met loads of lovely people including Gemma from the Button tin. We became the case study to about 40 school projects and some uni ones, ranging from business, journalism, food tech, design and geography. When did this happen? We also started recruiting for a full time apprentice, something we have never done before. Kate and I escaped the shop to dash off to London for the day to go to a Chocolate fair. Our new full time apprentice Megan started and slowly we actually had a lot more time in the week thanks to her help. I discovered chocolate paint and proceeded to paint everything and anything. Our amazing Cocoa girl Evie left to go to university in Leeds. There was an Evie shaped hole in the building. There was a food festival in Sheffield and we got people painting their own chocolate lollies in the shop. We finally got a new Cocoa sign on our canopy thanks to Lord Bunn. I cried in a meeting. Camilla asked me what I thought (as in about the design work) and I replied ‘I think I’m going to cry’. I realised later I was a little bit ill and stressed and could not make sensible decisions about anything that day. Lesson learnt it’s OK to have an off day. There was Chocolate week, where we got our customers to suggest chocolate concoctions that we could make. We made a lot of mess. We managed to make another website shop! Went to Rotherham and discovered the Button Tin which is AMAZING. Got asked by a new hotel in Sheffield called theFlorentine to be their suppliers of local handmade chocolate for their guests. Got really excited and then got really busy making chocolate for them. Then got asked by Reece of Urban Pantry to stock his shop with local handmade chocolate, so got back in our tiny kitchen and got really busy. He sold out really quickly which made our day. I ordered a ridiculous amount of Marmite chocolate, as I was so excited it was back. It turns out this was the right thing to do as we have nearly sold out. But we did sell out of our best seller THE SPANISH DRINKING CHOCOLATE a week before Christmas, which was a total disaster! We won best hot chocolate in Sheffield via Norton Creative. We have never won anything so we were happy to take this one. This new chocolate making meant introducing something Kate and I never thought we would have to do, get up at 6am! Turns out it wasn’t so bad. 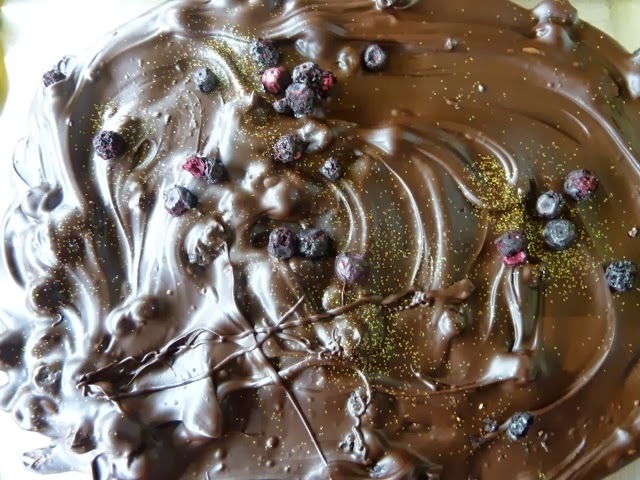 I am a delicious chocolate boutique in Sheffield, UK. I am owned and loved by best friends Anne and Kate.